It’s been a long, cold, drab winter and your baby’s been bundled up and hidden from the world. Now it’s time to take her out of that bundle and those heavy winter clothes and give her a chance to sport some fashionable girls boutique clothing for summer. We at Something Special by Sheila would like to tell you about many of the great fashions that are available for your baby this summer. Grown-up women look beautiful in summer dresses, and baby girls in summer dresses are simply adorable. Summer dresses for babies are available in all the brilliant colors of summer. Shopping for baby summer dresses can be fun because your baby girl can pull off a lot of the looks you, yourself, might be reluctant to try! The summer sun feels great and gives you the opportunity to wear pretty, light summer clothing that can be fun, feel great, and look great. It’s very important to protect your baby from the harmful effects of the sun, and your baby can be protected but still look great. 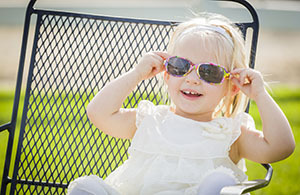 There are a lot of fun fashions for your baby that will make her the star of the kiddie pool this summer. Baby sandals are cute. There’s no two ways about it (except that they come in pairs). Your little girl can blaze a baby trail of fashion this summer wearing a great pair of summer sandals. Even if she’s not walking yet, she’ll still look great wearing fashionable footwear. Clothes for babies to sleep in can be quite cute, but the goal here is to keep your baby cool and sleeping calmly and peacefully. While she’s sleeping, she won’t know how cute she looks in her fashionable sleepwear, but you will. 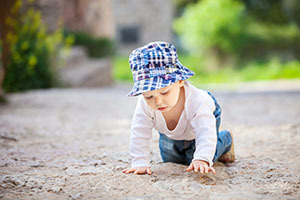 Summer fashion is fun, but your baby’s delicate skin must be protected from the harmful effects of the sun. But fear not, baby fashionistas; cool sunglasses and protective summer baby headwear is available for you—just as it is for your mom. A fun thing about shopping for fashionable baby clothing is that boutiques also have fun toys and other baby items available to add to your happy day of shopping with your baby. Look for great summer girls boutique clothing for your baby from brands such as Cachcach, Ruffle Butts, and Mudpie. Get yourself and your baby out there in the blue sky and warm sun and dazzle them with your great taste in clothing. It’s going to be a great summer of fashion for you and your baby! This entry was posted in Baby and tagged Baby clothes, Baby fashions, Summer baby fashions, Summer fashions on May 5, 2015 by Sheila Milic.